Vision Grafixx has extensive experience with as-built projects, updating engineering records to match conditions in the field. Our staff is skilled in traditional techniques such as manual survey and redlining, as well as the latest technology such as laser scanning. The Services can be broadly classified as below. We provide As-built modeling and drawings to retailers, homeowners, architects and general contractors. We cater to demands from, residential, offices, leisure, healthcare, education and commercial sectors to customers across a number of countries. As built drawings are considered an essential part of any building or plants in the construction industry. Such drawings are crucial when it comes to any alterations or refurbishments to be planned for a building. We can prepare in 3d modeling or 2d drafting services with greater efficiency and accuracy. Providing technically excellent & innovative solutions that will maximize prosperity of our clients. Our team Preparation of As-built Drawing for Expansion or Approval of Factory Inspector as per site visit & preparation of sketch with measurement as per existing plant reference and finally prepared in Auto-CAD. In many cases, structural drawings are not available. Aaryan prepares structural drawings based on current condition of the structure. This accounts for corrosion of steel and the deterioration in concrete quality due to ageing. 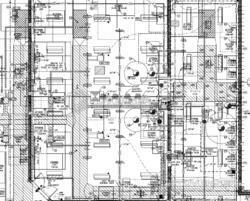 Preparation of structural drawings is a necessary step for carrying out design calculations. This is one sector where we deliver specialized service. We have laser equipment for precise measurements and structure locations. We have prepared “As Built Drawings for over 100 structures where no architectural or structural drawings were available. 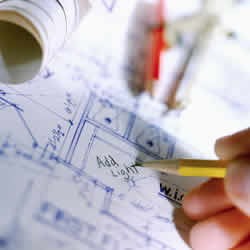 Enriched with vast industrial practice, we are involved in offering As-Built Drawings Service. Owing to timely completion, these are vastly well-liked by customers. For this service, we selected expert’s team who has affluent industry practice and proficiency. Moreover, we render this service as per client’s demand. According to the necessities and demands of our consumers, our firm is rendering As Built Drawings Services. This service is handled by experts who employ the advanced technique to render this service as per client’s demand. Further, we are rendering this service at nominal cost. Looking for a service provider to create electronic plans quickly and accurately at highly reasonable rate No Worry! We at Bose Builders & designers helps client to create their highly needed and extremely useful As Built Drawings or Record Drawings as per their requirement in electronic format. Preparation of As-built Drawing for Expansion or Approval of Factory Inspector as per site visit & preparation of sketch with measurement as per existing plant reference and finally developed in Auto-CAD. Providing drawing services as per Industry vice require like Standard Manufacturing, Fabrication, Site Drawings and Assembly drawings.